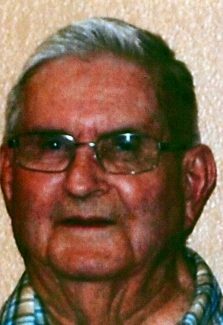 Louis Eugene Frihauf, 84, longtime area resident, died Jan. 12, 2019, at the Colorado Plains Medical Center in Fort Morgan. Louis was born the eldest son of Jacob and Vera (Anderson) Frihauf on Aug. 27, 1934, in Wheatland, Wyo. His family moved to Wiggins, Colo., in 1946. He graduated from Wiggins High School in 1952. Louis attended Colorado A&M (now Colorado State University) in Fort Collins for two years. He then moved back to Wiggins and farmed until he retired. After retiring he then moved to Fort Morgan where he has been ever since. Louis enjoyed playing bingo, pool, cards, fishing, farming and watching movies. Survivors include brothers, Jack Frihauf (Pat) of Wiggins, Gary Frihauf (Barbara) of Fort Morgan, Glen Frihauf (Barb) of Wiggins, sister-in-law, Jeannie and brother-in-law, Rich Reiber, and many nieces and nephews. Louis was preceded in death by sisters, Catherine and Anita, one brother, Robert, and his parents. Memorial Services were held on Jan. 17, 2019, at the Christ Congregational Church in Fort Morgan. Memorial Gifts may be given in Louis's name in care of the Heer Mortuary in Fort Morgan.